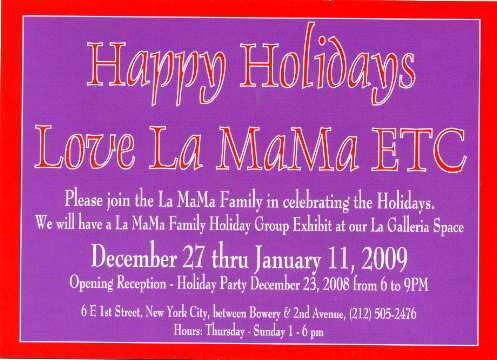 Please join the La MaMa Family in celebrating the Holidays, We will have a La MaMa Family Holiday Group Exhibit at out La Galleria Space. Click on the image above for more information on the auction. 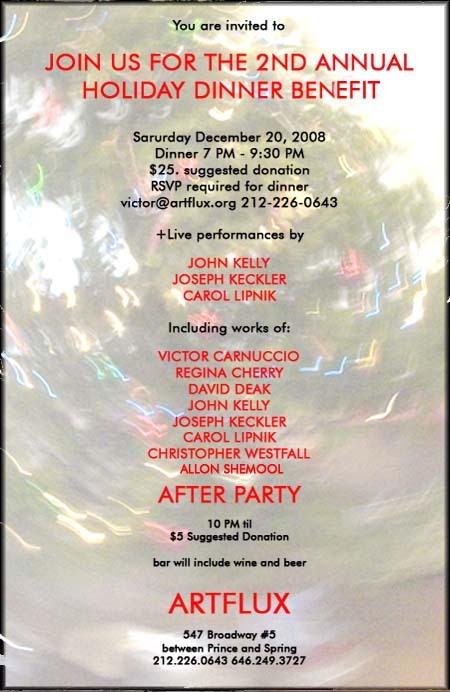 This image is also available 11 x 14 inches signed and numbered edition with studio stamp verso.